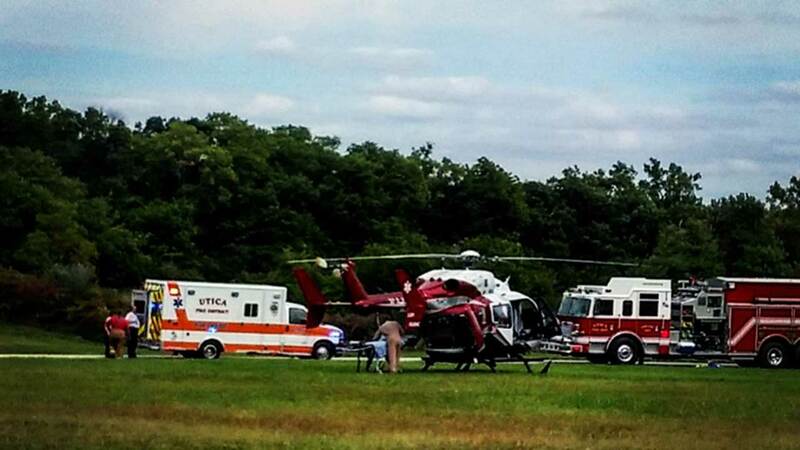 OGLESBY, Ill. (WLS) -- A 17-year-old boy was seriously injured Sunday afternoon when he fell about 50 feet from a cliff at Starved Rock State Park, according to the Illinois Department of Natural Resources. Shortly before 1 p.m., the 17-year-old Belvidere, Ill., teen feel from the edge of Pontiac Canyon at the park. He was about 50 feet from the marked trail when the sandstone beneath his feet gave way, the DNR said. The boy was taken via helicopter to OSF Saint Francis Medical Center in Peoria. Alcohol was not a factor, according to the Utica Fire Department. Starved Rock is about 95 miles southwest of Chicago in Oglesby.